RICHMOND, Va. (AP) _ The American Civil Liberties Union of Virginia has called on Gov. Ralph Northam to sharply limit the use of solitary confinement in state prisons. A report released Thursday says the practice remains overused. The ACLU said reforms put in place by the state since 2011 are a “step forward” in reducing its use, but don’t go far enough. 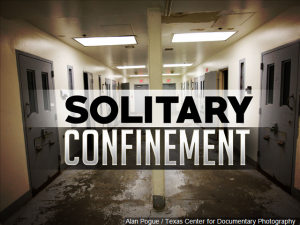 A Department of Corrections spokeswoman said Virginia “stands out for operating a corrections system without the use of solitary confinement.” She said the closest thing the state has to solitary confinement is “long-term restrictive housing” at Red Onion State Prison. She said inmates in that housing have reading materials, out-of-cell recreation and classes. The governor’s office said Virginia has become “a nationally-recognized leader” in reforms that reduce the use of restrictive housing.